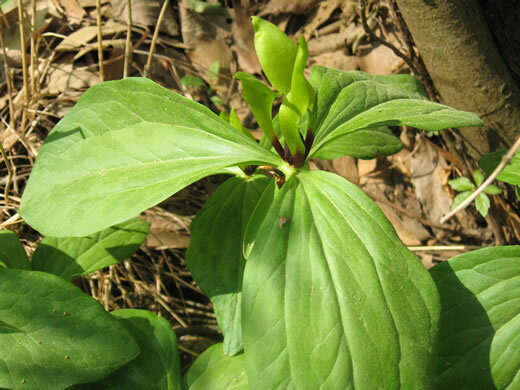 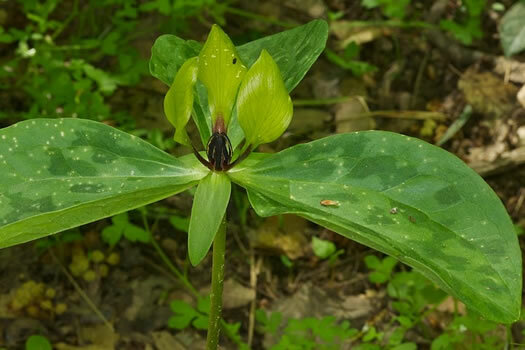 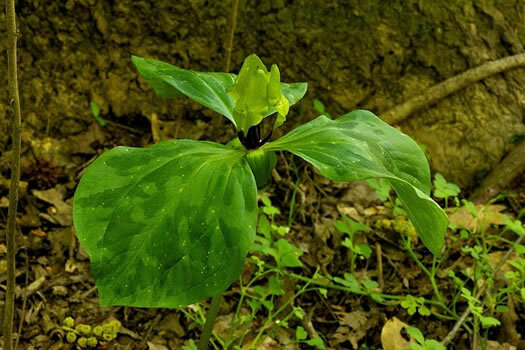 Read more: Trillium oostingii (Wateree Trillium), a rare Trillium in central South Carolina by Jim Fowler. 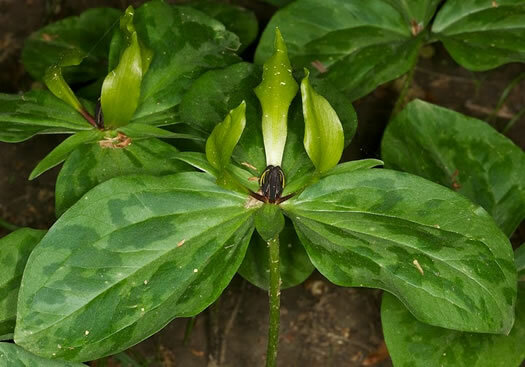 No flowering T. oostingii has been found to have petiolate leaves, per A New Sessile-flowered Trillium from SC. 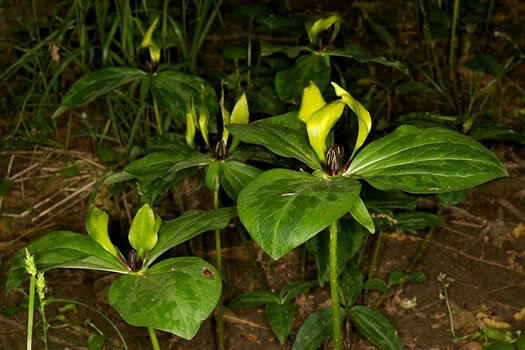 Phytologia (Gaddy, 2008). 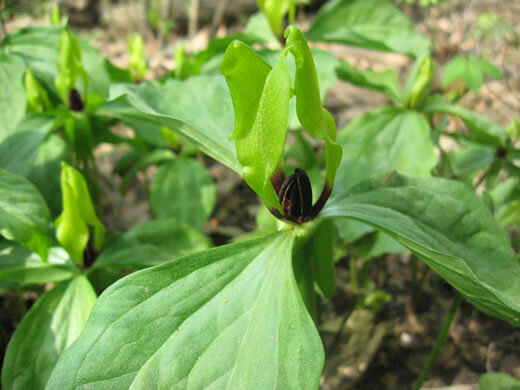 Sepals may be strongly reflexed early & parallel to the ground at maturity, per A New Sessile-flowered Trillium from SC. 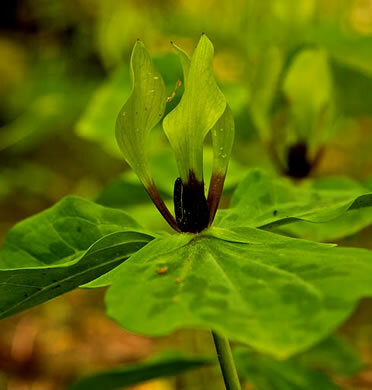 Phytologia (Gaddy, 2008). 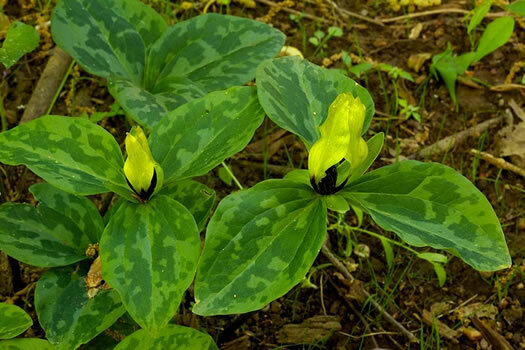 Sepals distinctly descending below the leaves' approximately horizontal plane, per Weakley's Flora.